There are several caterpillars which eat the animal products. The diet of the horn moth includes the horns of dead ungulates and the hooves. Wool is the main diet for the clothes moths. 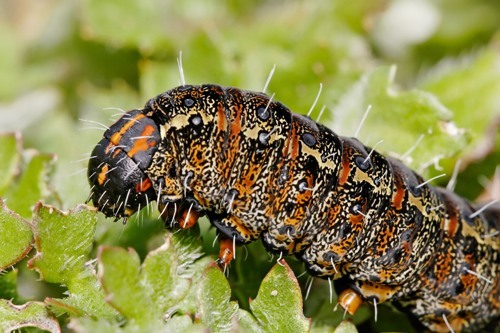 In many cases, the farmers hate caterpillars because they are considered as the agricultural pests. The agricultural products and fruits are often damaged because of the presence of caterpillars. But the presence of caterpillars also gives benefits for the people. They can be the source of the animal and human food. They can be the sources of silk. Many animals like to eat caterpillars. They contain a lot of protein. To avoid the predators, the caterpillars develop the defense mechanism. 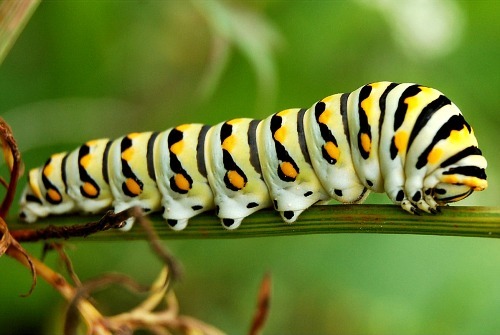 The body patterns of caterpillars can throw away the predators. It makes the caterpillars look poisonous. It drives away the predators. The weather such as the dry, hot and cold condition is not a big deal of the caterpillars since they can adapt well. Gynaephora groenlandica is the arctic species which has special adaptation. It has the aggregation behavior and special basking. The size of caterpillars is various. It can reach the size around 1 mm until 3.0 inches. 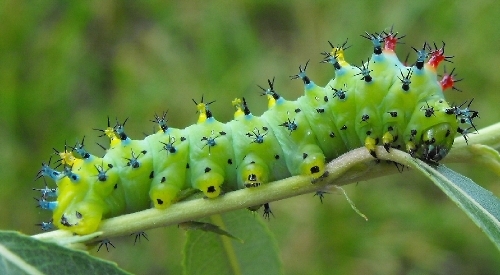 Some caterpillars resemble the look of the plant. It is used to avoid the predators. Find facts about animal behavior here. There are a number of species which predate the caterpillars. The caterpillars which live on the oak foliage are often hunted and eaten by European pied flycatcher. Other predators include Polistes instabilis, Polistes apaches and Polistes metrics. 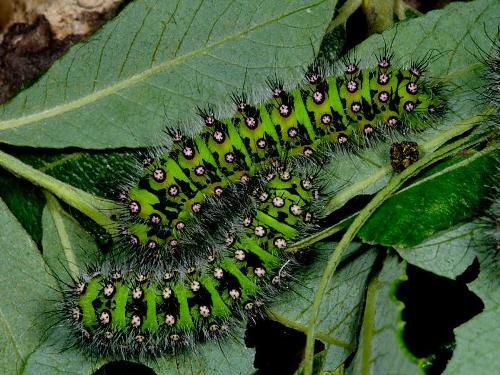 The main food of caterpillars is the leaves. You can call them the eating machine since they eat leaves greedily. Get facts about butterflies here. It is very easy for a caterpillar to grow. 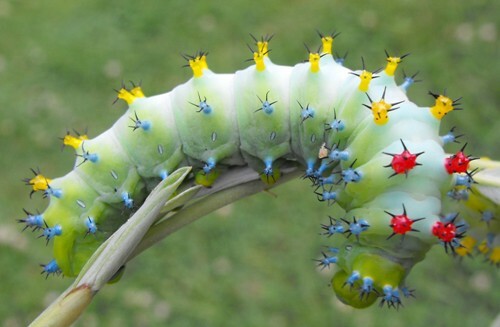 In less than 20 days, the tobacco hornworm can reach the heavy weight. Do you like reading facts about caterpillars?